On March 12, 2008, the New York Times reported about a team of computer security researchers from Beth Israel Deaconess Medical Center and the Universities of Washington and Massachusetts that able to gain wireless access and reprogram a combination heart defibrillator and pacemaker to deliver potentially fatal jolts of electricity to a person with the device. Since that zero day nine years ago, the health care industry has moved up to top of the list for cybersecurity attacks. Since that zero day nine years ago, millions of pacemakers have been implanted worldwide. Since that zero day nine years ago, the mobile device market has been forecasted to have 8-Billion-dollar market value by 2019. So as we begin Cybersecurity Awareness Month, what should healthcare organizations do to protect patients and their connected medical devices from being compromised? 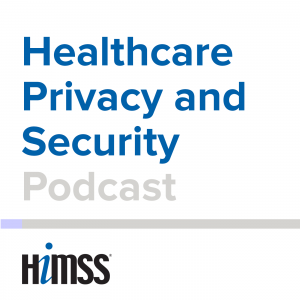 In this episode of Code Red, we discuss the impact that connected health will have on medical device security with HIMSS Privacy & Security Committee member Cathy Petrozinno, Principal, Cybersecurity Partnerships and Information Privacy at MITRE Corporation.